With several No. 1 radio singles, many Grammy nominations and even more Dove Awards, Chris Tomlin is among the most well-known artists in contemporary Christian music today. 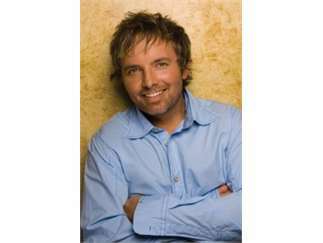 Credited with such venerable church choruses as 'How Great is Our God,' 'Forever,' 'We Fall Down' and 'The Wonderful Cross,' Chris Tomlin is considered one of this era's top songwriters for the church with five songs in CCLI's Top 60 and four more in the service's Top 500. With millions singing his songs weekly, Chris is recognized as a pivotal voice of today's modern expression of Christian worship.